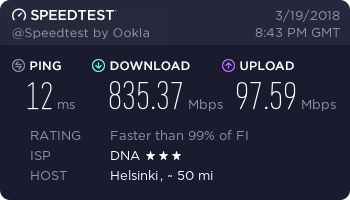 1Gbps/100Mbps -cable connection, router, couple of cat6 cables, laptop & speedtest.net (note: speedtest.net might not give reliable results on high-speed links). 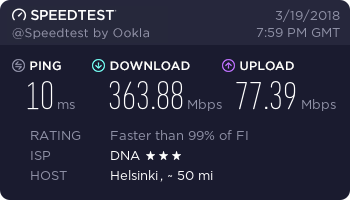 Default speeds (without a router). 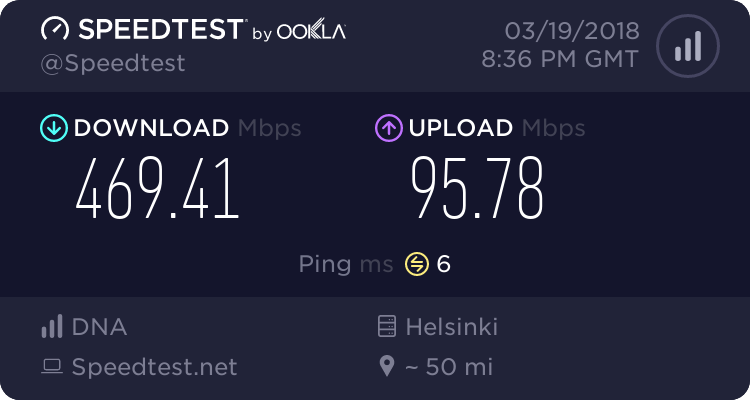 Cable modem is setup as a dumb bridge, it’ll just be a media converter between ethernet and the DOCSIS 3.1 -world. 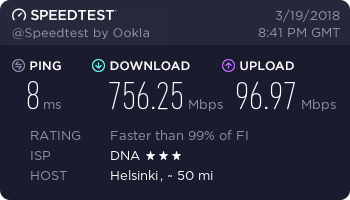 First tests were run with laptop hooked up to it with cat6 -cable, public IP-address resided on the laptop and “Hey, this works”. 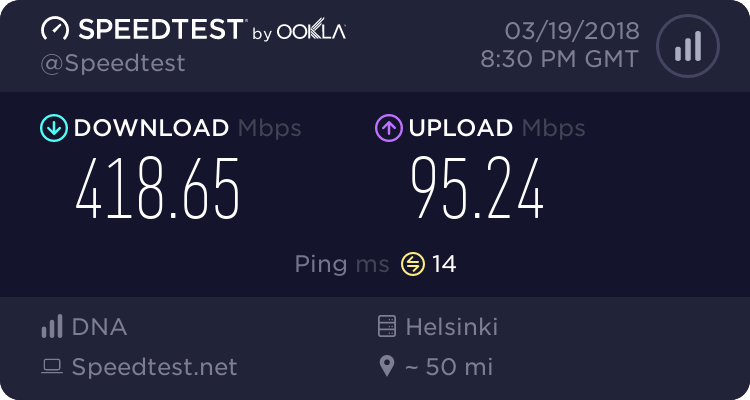 Plugged it into existing infrastructure (WDR4300) and carried on with my normal life. What if I’ll change a router? WDR4300 has an AR9344 CPU running at 560MHz – my reserve WR1043NDv2 has QCA9558 CPU running at 720MHz – a whopping 160MHz (~28.5%) more! 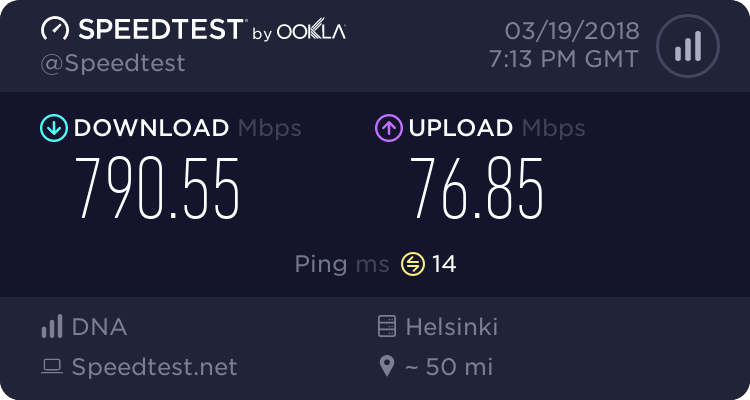 I took a look at OpenWRT OpenSSL benchmarks and they confirmed my theory, CPU should be about a quarter faster, but would it translate into real world performance? This is a bit like comparing apples and oranges, because the CPUs are different, firewall rules are close but not identical, and the latter one doesn’t handle wireless at the same time, but the speed difference is still noticeable. What if I’ll simplify firewall rules? 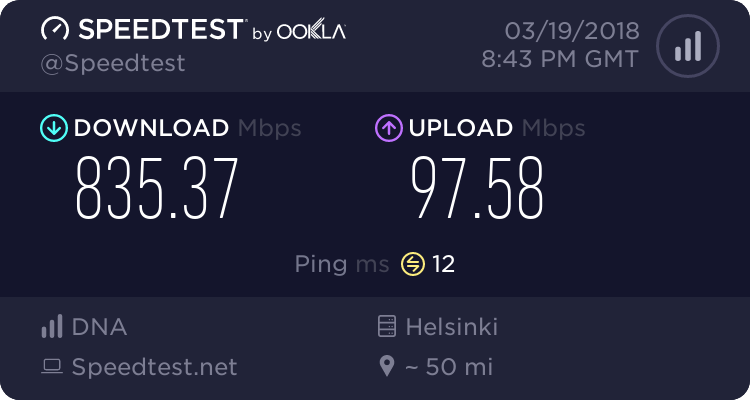 Replaced all the default LEDE -firewall rules with just one NAT-rule, just allowed everything, and … about +10% more bandwidth. 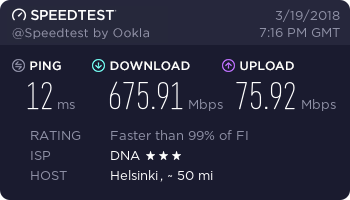 How do I get more speed out of a CPU? Overclock! Had a crazy idea, is it possible to overclock a router? And found out it actually is possible, just backup mtd0 (u-boot) -partition, replace default MHz -values with hex-editor to something else and burn the image back to router. Or use pre-made images or some chinese guys closed-source bootloader. 720MHz to 1GHz (+38%) and +32% more bandwidth with default firewall, nice! Same as before, just one NAT-rule. 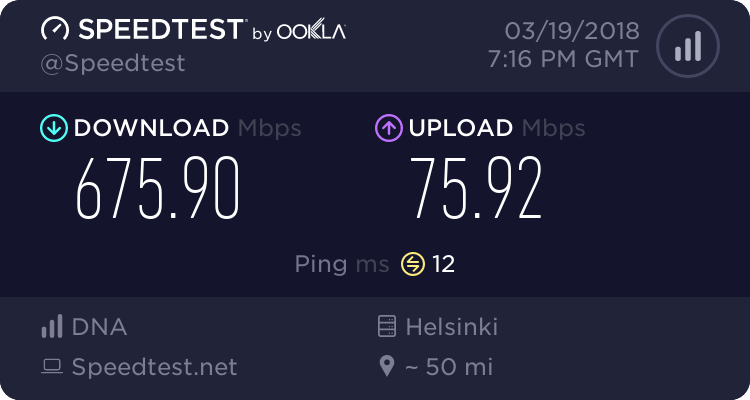 +11% – and the speed is almost doubled from the start (WDR4300 and ~240Mbps). 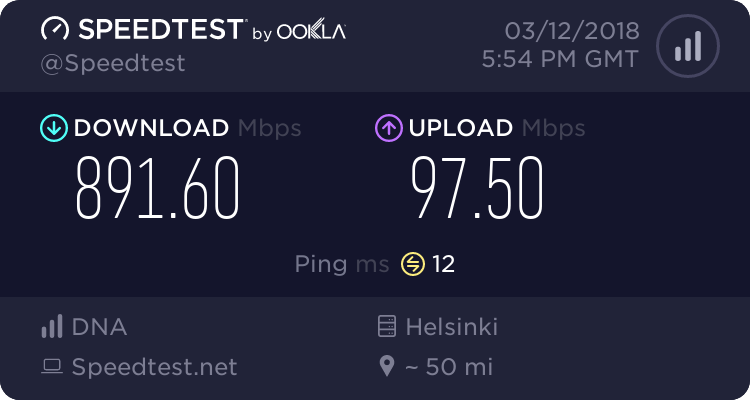 What is this “NAT Boost / Hardware NAT” -feature in stock TP-Link firmware? Back to default CPU speeds, stock firmware has some kind of shortcut for packets going through a NAT. Let’s see if we have..yes, OpenWRT is bringing SFE (Shortcut Forwarding Engine) -support to their later release. Luckily there were some images ready for testing. Shortcut forwarding engine, with just a NAT-rule. Let’s combine that with a minimal firewall setup, just a single NAT-rule. Let’s drop the firewall (use just a single NAT-rule), what’s the maximum attainable speed? 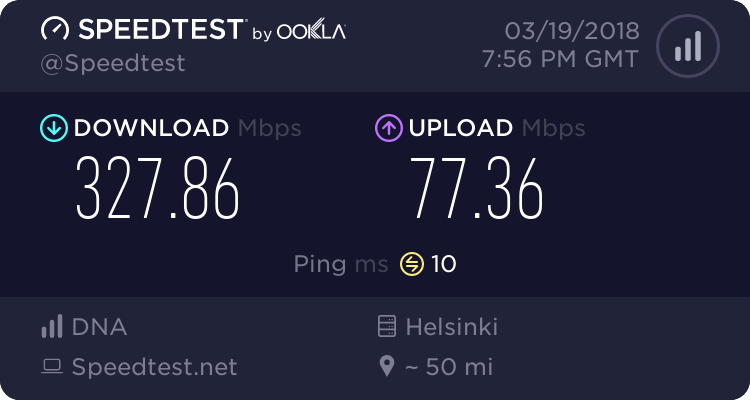 …not bad, just about 3.5 times faster than the original, and just a bit short of “full wirespeed”. 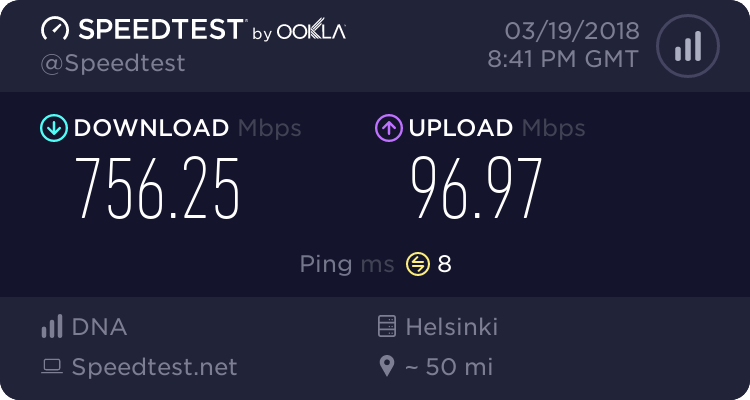 But I think I’ll stick with a firewalled version and take that ~80Mbps hit.